A common question parties in a family law matter ask is, “How long will this process take?” What often drags out the process is a Motion for Continuance. Courts usually schedule a hearing simply by looking at its own calendar of availability. The court then sends out an order setting the hearing date and time to the parties and their divorce attorneys. Thus, often a situation arises where either a party or his/her attorney has a scheduling conflict with the date selected by the court. A common remedy to this situation is to file a Motion to Continue the hearing, which requests that the court reschedule the hearing for a new date and time. This will usually result in a later hearing date than the one presently reserved, as the court’s calendar continues to fill up after your hearing was scheduled. While having your hearing pushed to a later date can be frustrating, it could actually benefit your case in some circumstances. A continuance gives you and your divorce attorney more time to prepare for your hearing. This would include time to consult experts and possibly retain expert witnesses; obtain a professional appraisal on property or an evaluation on custody or parenting time issues; conduct a deposition for the opposing party or their experts; or simply have more time to develop your strategy and testimony. These options can help you use the additional time to your advantage for your case, so that it is not time lost overall. You can also use this time to attempt to negotiate a settlement or attempt mediation if you have not done so. Settlement may not seem like an option in your case, but mediations have been able to procure settlement for highly-contentious cases. If you have the time, and the funds, mediation can help you try to settle your matter before the court hearing, thus ending the conflict on that day. Even if mediation fails, you can still gain valuable information from mediation regarding the opposing party’s arguments that he/she will present in court, so that you can amend your strategy accordingly for the final hearing. While both of the above circumstances can be used to gain benefit from a continuance, in some circumstances, continuing your hearing could be detrimental to your case. For instance, if you are requesting a hearing on which school your child will attend in the fall, you don’t want to risk your hearing taking place after the school year starts if you can avoid it. Some states’ courts require the party requesting the continuance to check if the other party objects to rescheduling the hearing. If you are in a situation where a continuance would run the risk of harming your case, you can let the opposing party know that you object to the continuance. The party filing the Motion to Continue must include in his/her Motion if the other party does object. It will then be in the judge’s discretion whether to grant or deny the request to reschedule the hearing. If you strongly object to the continuance and have unique reasons for objecting (i.e., the school example above or you allege a continuance would endanger your children for a specific reason), you can file a written Objection to the Motion to Continue, and file it with the court. The court generally rules on continuances rather promptly, so if you intend to file a written objection, your attorney will want to work with you quickly to file before the judge rules on the Motion to Continue. At the Cordell & Cordell family law firm, our team approach with multiple family law attorneys available can benefit your case if a scheduling conflict arises for your lead attorney. Sometimes, so that we do not have to delay a hearing on your case that may result in negative consequences, we will check with the other attorneys in our office to see if someone is available to represent you at your hearing if we are unavailable on the date the court selected. While we may try to avoid this for final hearings in your case, if you have a strong objection to continuing a hearing, many of our attorneys are available to jump in when needed and assist in litigating the case if there is a scheduling conflict for another attorney. Ultimately, the judge may (and often does) grant the continuance over an objection if the party requesting the continuance has a legitimate scheduling conflict. In some circumstances, such as emergency hearings, the court may still deny a continuance request even if there is a scheduling conflict if the court feels that continuing the hearing would possibly endanger children in the matter or cause undue prejudice against one party. While you cannot always control how the court will rule on a Motion to Continue, the above information outlines your options for letting the court know your feelings on the Motion, and also provides you with information on making the best of a continuance if it is granted. 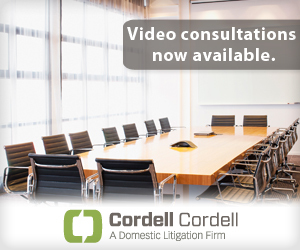 To arrange an initial consultation to discuss divorce rights for men with a Cordell & Cordell attorney, including Indianapolis Divorce Lawyer Leslie Lorenzano, contact Cordell & Cordell. I have been in a continuance for 27 years with no way to prove my case. I was told that I can not bring this case foward because i didnt file the claim by a judge and head to present the case. The allegations made by the filer are false and the continuance cost me my degree…my ability to support my children out of poverty…attempts on my life and my son’s life and abuse because of the judges order which was based on the filer s claims. The judge empowered my abuser . What can I do? I can’t afford an attorney. I am disabled and a senior now in oklahoma. BF’s divorce was finalized. He received conservatorship of the children. His ex filed a motion contesting the divorce and for a new hearing. It was granted. Her lawyer said we would get a proposal in two weeks. Three months later nothing. Is there an experation date on the motion? There has been no court date schedualed. It doesn’t look like she plans on setting one. Can she keep him in limbo indefenatly? The prosecutor interned a Motion to continue the trial date. Now the is an Amended Motion to continue Trial date. Can someone explain this to me? My boyfriend is in the middle of fighting against the FALSE allegations of his ex in a DV case (we have been together for 3 years and she’s claiming abuse from the past, they currently don’t see each other in person because she is volatile and it only leads to negative banter), she has no evidence and was granted temporary custody of his daughter (he had 90% custody and she simply walked into a court house and claimed she feared for her life=VAWA and request granted). At the hearing she asked for a continuance because she needed more time to respond to his response? Granted. When judge gave new date she claimed she couldn’t do that date because she was giving birth. Date got moved back a whole 4 more weeks and that makes 2 months of not having his daughter. He gained the custody in December when she had been involved in a DV incident with her bf and has a seriously large rap sheet of violence. Now everything is totally flipped and she’s currently still with the bf that she had the DV incident with…living with him and his daughter is again exposed to their excessive fighting. Found out the day of court (last Friday) she ran into a close friend of my bfs and she admitted she was being induced today (Sunday) yet had lied to the judge in order to elongate the hearing. What can be done? We meet our lawyer in 2 days but I’m anxious to know if there is any way to file for the hearing to happen sooner on account of her lies? I’m sure the lawyer will help anyway possible as he’s been our good friends lawyer and that’s how we obtained him to represent us. Anything helps to ease our minds! Please anything! I need to ask for a continuance in my divorce case due to the fact I don’t have the $$ for my attorney to continue. I don’t know how to get some time to be able to earn enough money for another attorney nor to get the continuance so I don’t have to appear prose. My final orders is in 8 weeks and I don’t have any money. Can they make you appear prose? What should be my next step? What would constitute a continuance from a judge? Can I still sue the owner operator whose vehicle I rode in. The owner told the insurance company that he didn’t know that I was on the truck which wasn’t true. I have evidence. I just found out that my ex had signed a paper stating that he would be responsible if anything happened to me. My lawyer left me high and dry no contact my accident was on 12/06/2013. I got a letter saying I need to find another attorney. The letter was dated on 11/10/2016, I have until 01/10/2017 to fine an attorney to take my case. I can represent myself if I can’t fine and lawyer. My x husband was in a nursing home in our home town. He is longer there .I think he is in Okla. where his son live in a nursing home. My x was to sell our home and give me my part. He ignored the Judges order and I had to file again to take him back to court in order to sell the house. we were to appear in court July 29th but he is no longer living in home here. His attorney keeps asking for a continuance . What next if I can’t find where he is? How many continuances be granted I’m awaiting a hearing of a child abusr case and the other party keeps asking for continuances this has beenbhis 4th one. How can stop a continuance request from my spouse’s lawyer being granted? We had a custody case to get custody of our daughter from my husband’s custodians but they lied and said they had to have surgery and they do not have to his mother is sick with a hernia this is the second time our case has been continued. What should I do can they get in trouble for lying? And they took our three days a week visitation away cause of this “family emergency. that is court ordered. I got my but kicked in my wifes Lawyer when she applied for a restraining ojrder. Now we have to have the actual divorce and I want a continuancE to get a lawyer or court appointed one. So I can spend time getting our plan of attack. I will not be able to afford one until after the set date of december 7th at 8.30. Bhhow can I get a continuation before than. Where do i get the motion to reinstate my divorce case? any answer to this? Thanks. I need to ask for a continuance in my divorce case due to the fact I don’t have the $$ for an attorney. Im afraid my husband is going to argue everything. Custody of our son, alimony etc. Looking into a public defender but running out of time.